Some Helpful Advice when planning your Inchydoney Event For wedding ceremonies, we recommend you book an early Church Service to ensure sufficient travel time to Inchydoney, enough time for photographs and a chance to enjoy drinks with family and friends in our luxury Lounge. To guarantee the best possible service, we advise that all guests arrive at Inchydoney Island Lodge & Spa no later than 4.30pm. Guests will be called to dinner at 5.15pm and your meal will be served from 5.30pm. For the kitchen to get the timing of food preparation correct on the day, we do not recommend speeches before the meal. Cakes, Flowers or other items required for your wedding/function are required to be delivered to the hotel no later than 24 hours prior to your event and any items remaining after the event need to be collected no later than 24 hours after the event. We discourage the use of confetti in the hotel and on the hotel grounds. All our food is cooked to order, so we recommend that when choosing your menu, you select one item for each course. We will provide an alternative for those who may not like the choice as well as vegetarian and coeliac friendly options. Should you require a choice in any course we must charge 10% per choice per course on the most expensive option to cover the cost of the extra food preparation involved. On the night of your event we would be delighted to organise a bar extension on your behalf, at the Special Exemption charge of €490.00. Please advise if you require this service. 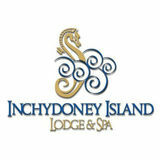 Hotel Residents will be served until 4am in the Inchydoney Room. The band and DJ must be finished by 2am. A Heated Smoking Area is available on the 3rd Floor as well as the Inchydoney Room & Lounge Balconies. However to avoid disruption to guests staying in the hotel and for safety reasons, the two balconies will be closed at 11pm. For the night before or after your function/wedding we are delighted to suggest Dunes Pub & Bistro for an informal party or family get together. We will be delighted to organise a late barman on your request. The Inchydoney Room is also an option for the night after your function / wedding to host a casual BBQ or Buffet Dinner with a themed night if required. Cancellations made within 6 months of the event will incur 100% of applicable charge including deposit charge in full. Cancellations must be submitted in writing. In the event of postponement of a function, the deposit may be moved to a new date. This is subject to availability. We require that you supply us with all the necessary information, to enable us to provide the relevant services, within the time frame stipulated by us. It is your responsibility to ensure the accuracy of such information. All special requests must be put in writing at least one month prior to the event. In respect of outside contractors, we must be notified in advance. The use of outside contractors is subject to our approval and such conditions as we may, in our sole discretion impose, including the holding of sufficient insurance. All accounts must be settled on or prior to departure. All our prices are inclusive of VAT at the current rate and may change in line with Government policy. Rooms for your Event We operate a minimum stay policy of 2 nights for Saturday nights in high season and bank holidays. Twenty of our Terraced Rooms are available to your guests at a discounted rate of 10% subject to availability. The wedding couple or event organiser are liable for any guestrooms booked by them and any unnamed and non-guaranteed rooms will be released 6 weeks before the event date. Cancellations of rooms booked by the wedding couple or organiser must be received 4 weeks before the event date – otherwise a full charge for these rooms will apply. In the case of unoccupied rooms or no shows, full payment will be charged to the wedding couple or organiser. Bookings made outside of the allocated 20 terrace rooms will be charged the full rate of that night and will be require credit card details for guest and will be subject to hotel terms and conditions. In the event of guest’s behaviour being unacceptable, the management reserves the right to ask the guest to leave and to close all bars, should they deem it necessary. Should we suspect a guest of being under the influence of any illegal substance, please note that the Gardai will be notified. Only alcohol purchased onsite may be consumed in the hotel. Guests found consuming alcohol that hasn’t been purchased onsite will be asked to leave. The guest is responsible for damage to any hotel property caused during their stay. Should the guests not be identified then the damages remain the responsibility of the group organiser/bride & groom and will be charged to same. We do not permit sparklers, confetti, streamers or or any item that may cause damage to the hotel furnishings and fixtures. Please check with our Wedding Coordinator, who will confirm what is permitted.